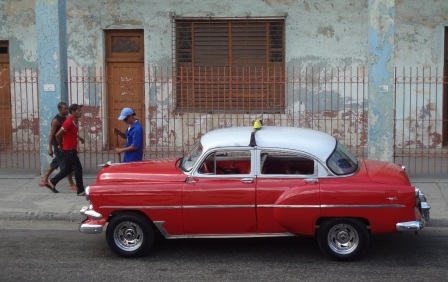 It’s estimated that there are tens of thousands of 50s cars rumbling around the streets of Cuba. Many are in use as taxis. A favorite gathering spot for them is in the parking lots beside the Capitolio building near Central Park. 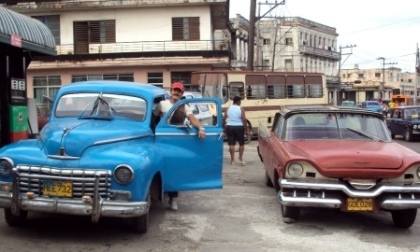 Cars from the 1950s and earlier are part of Cuban life, though few are in good condition. Most are hanging together on a wing and a prayer as they rattle over the pot-holed boulevards, their suspensions shot. “We make an invention” a Cuban will tell you as he cobbles together a carburetor from East European parts. You will find everything from a convertible Edsel... for rent as a wedding car... to an assortment of multi-colored Chryslers from the past. 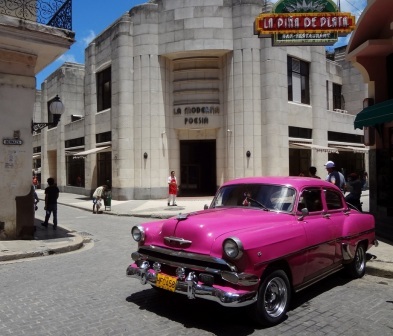 In the 1950s, Cuba was the top world export market for Cadillacs, with one of the highest ownership ratios per head anywhere in the world. 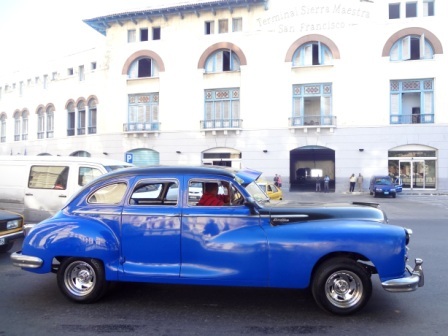 The export of these cars is no longer permitted so the cars are fated to cruise the streets of Havana forever.